In Japan, drink machines seem to be everywhere. 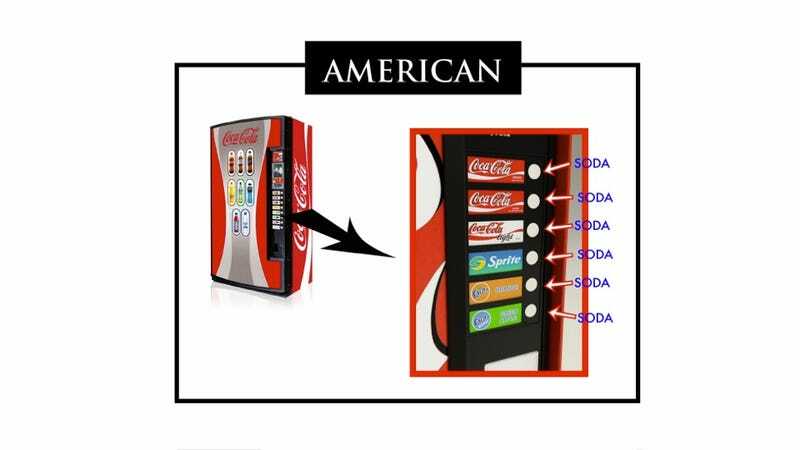 America also has lots of vending machines. But there's one key difference between the two. A huge difference if you drink coffee (canned coffee ain't bad!). Image courtesy of I Love Coffee.